Those beans look wonderful! 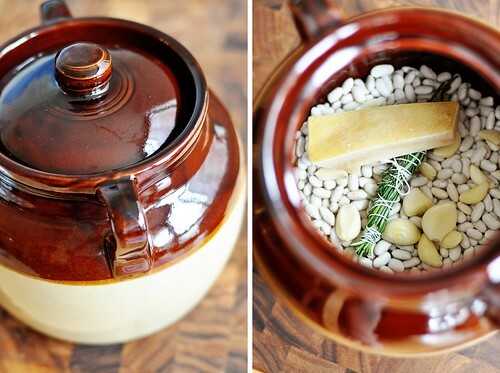 Your post reminds me that I've always wanted a bean pot. I must keep my eyes out! i *love* white beans. they are so creamy and delicate in flavor and we have them once, maybe twice a week in our house (my toddlers love them, too!). But I never thought about baking them! Great idea! Yum, those are my kind of baked beans. I’ve been meaning to try cooking with dried beans, as opposed to canned beans, and your recipe sounds so easy that I have no excuses! Adding them to my grocery list now. I love how you don’t have to soak these beforehand. And look at how creamy they get. I’m definitely trying this. I have been eating a lot more beans lately and bought some beautiful heirloom ones from Rancho Gordo. I also have a very old bean pot that my sister picked up for me at a thrift shop. I cannot WAIT to put the two of these together! The final dish looks wonderful. Thank you! I’m really excited to make this! Adding to my dinner menu for the week. Thank you for sharing! 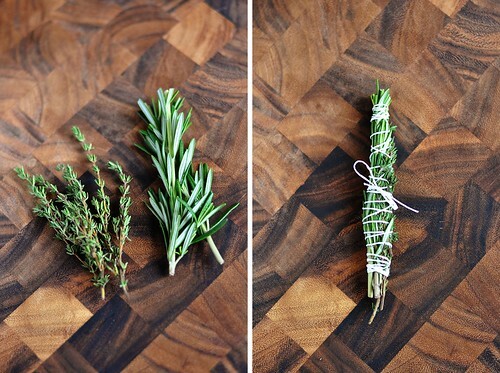 I’m firing up the oven right now and binding my rosemary and thyme. Going to use my dutch oven this time, but wondering if you could share a link to a site, that sells these special pots, or the formal name of such a thing to guide my search? I’m a bean fiend and would LOVE to have one. Hi Janell! Thank you for the lovely compliment. If you haven’t yet, from one bean fiend to another, I hope you find one you love! Tried making this recipe, but ended up with soupy beans. I used a 4 quart dutch oven that I use for making baked beans. It would be helpful to specify pot size and/or amount of water rather than to simply cover ingredients by one inch. I’m sorry to hear that your beans didn’t turn out. 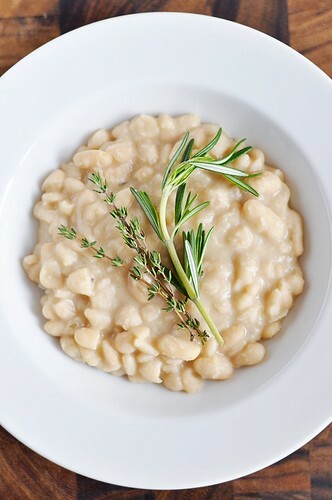 To cover beans by an inch or so of water when cooking is a very common instruction, and I’ve personally made this recipe in all sorts of containers (including a roasting pan covered with foil) and never had an issue. An inch of water is not very much–perhaps you over measured? Did you soak your beans beforehand? If so, that also would have caused this problem. 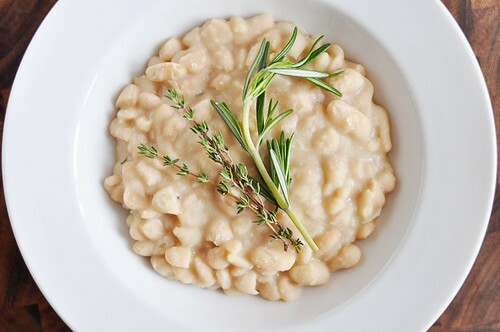 In the event that you end up with soupy beans, though, you can always try smashing some of them against the side of your cooking vessel; this will help to thicken up the pot liquor. And if they’re really, really liquidy, simply ladle out/drain some of it off. beautiful photos! 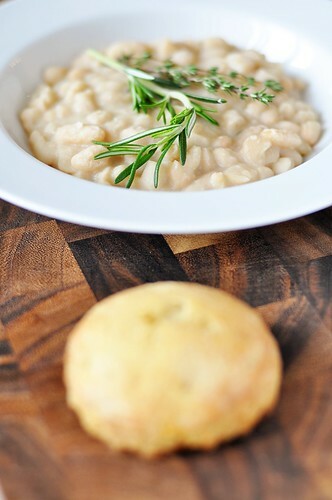 I am making this recipe tonight in my le creuset bean pot, it smells wonderful. Do you have any other bean pot recipes? I have a vegetarian in the house and it is a great way to work in protein to the meal.Thanks so much for sharing.